A watch is definitely one of the things I can't live without. I get so panicky and anxious whenever I'm running late for my errands, so I make it a point to wear a watch every single day to accurately keep track of the time. 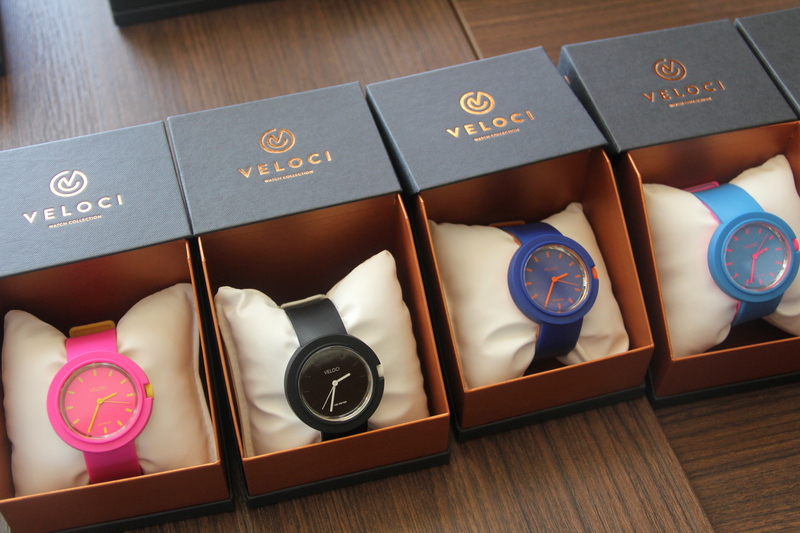 A new watch brand, Veloci, was introduced to us (actually, just to me, because the rest of them already knew about this brand) a few weeks ago at Highlands Prime Steakhouse. We had a sumptuous lunch of tomato salad, prime rib steak, and choco caramel cake. 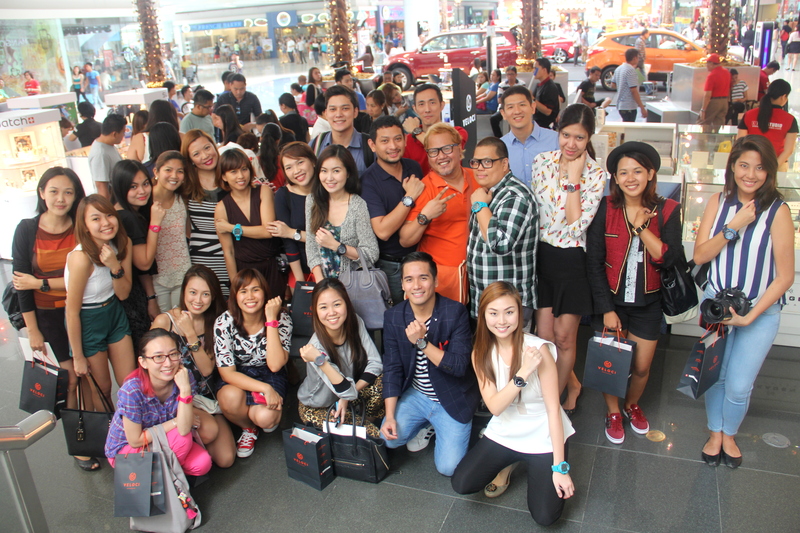 Afterwards, we were given a preview of their two new collections -- the Pulse and the Metro collections. Both were wonderfully designed, I must say! 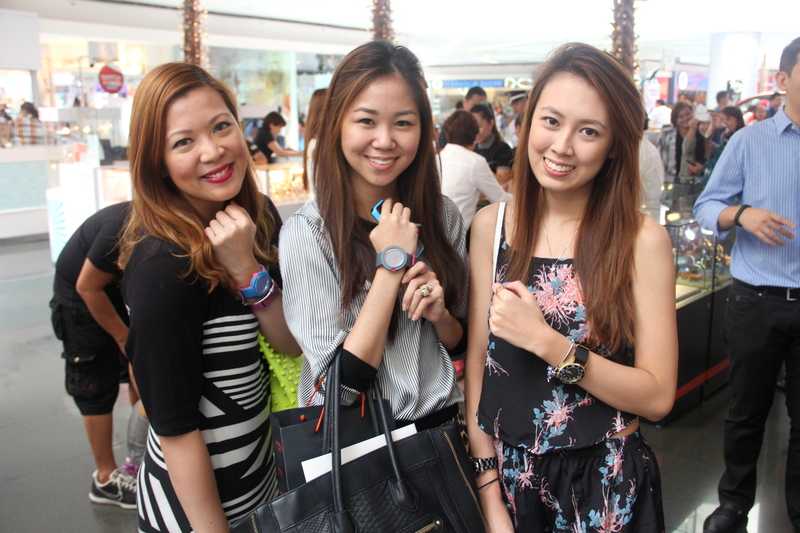 We then went to their kiosk to choose which watches to take home. Yay! The Pulse collection is available in six colors so as to cater to different peoples' tastes. 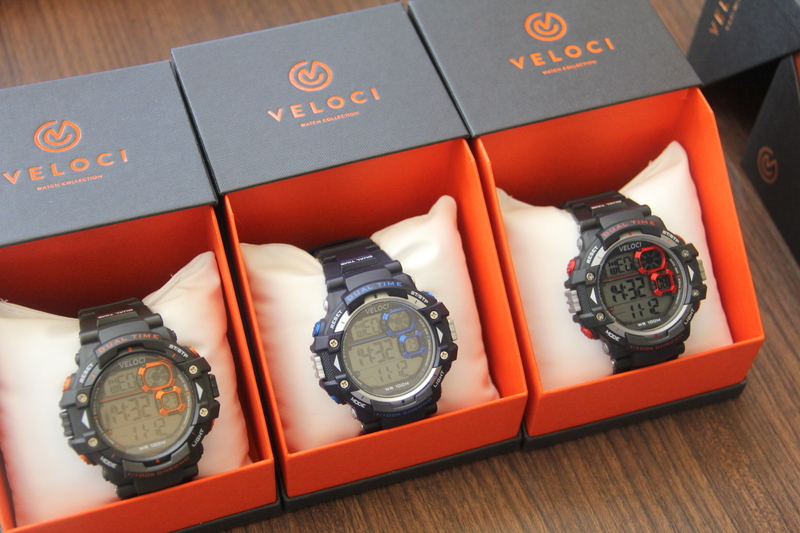 These are perfect for those who have a dynamic and adventurous lifestyle. I initially wanted to get the one in turquoise, but I found it to be too big and overwhelming for my small wrist. 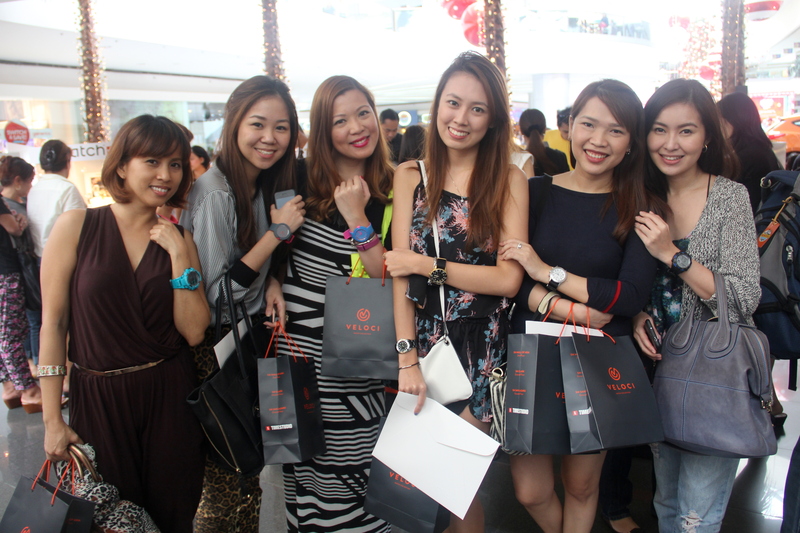 A lot of bloggers got one from this collection though! And here's the Metro collection. Now this perfectly matches my taste! In contrast to the Pulse where there's so much going on in the watch, the Metro has a very straightforward and minimalistic design. It's simple yet striking at the same time. My obvious choice was the black one with white accents! 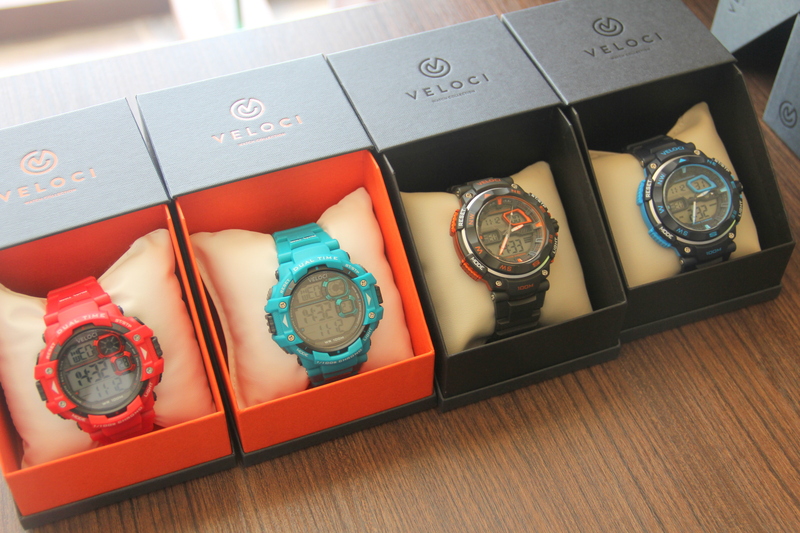 Aside from the Pulse and Metro collections, they also have the Aeronaute, the Voyager, and the Cruise, which I think you should check out! 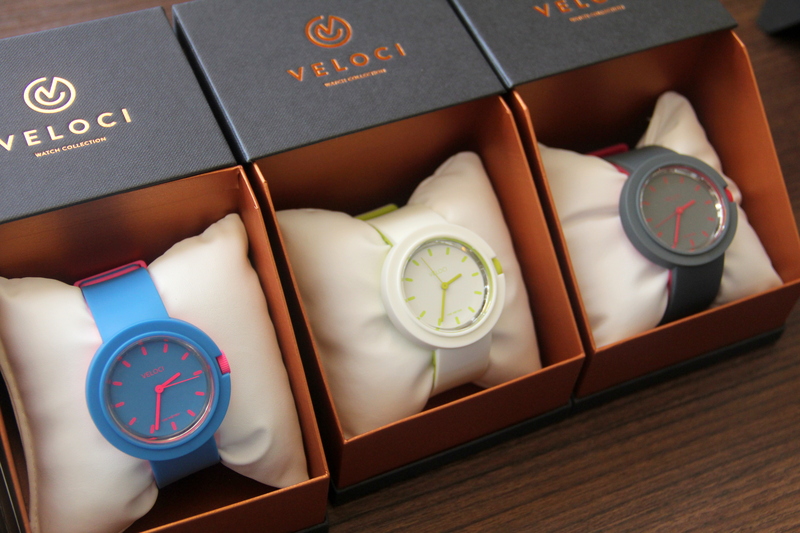 Veloci watches are available at the Veloci kiosk in SM MOA, as well as in L Time Studio, Asprey, and select SM department stores. Here, I'm wearing the Voyager in black and gold.